On 416 Clark Street nestled in the Betts-Longworth Historic District in the West End is the William Betts House, the oldest brick house in the state still on its original site of 1804. Few people know about it. The Betts-Longworth part of the city, placed on the National Register of Historic Places in 1983, reflects stately homes from the 19 th century, the oldest Jewish cemetery west of the Alleghenies and an historic synagogue, now a private residence. Travel back in time to a 19 th century area and a house open to the public. The two-story William Betts House has existed in Cincinnati for over two hundred years. Built by William and Phebe Betts in the Federal style, the house opened to the public in 1996 as a museum that interprets the built environment of the 1800’s. Visitors learn about architecture and the materials used to build a city house, as opposed to a country one. The house offers exhibits and programs on architecture, historic preservation, building trades and materials, and construction technologies. Originally, the house was the hub of activity on a busy, 111-acre working farm, according to the website. The William Betts and Nicholas Longworth families owned parcels of land in this area. Longworth laid out the subdivided development for the West End of Cincinnati, but actual construction did not begin until the 1830’s. Acres were sold off, and several streets, including Clark, Elizabeth and John, were named after Betts’ descendants. Pre-Civil War, there were more than 30,000 people per square mile, making the West End the most densely populated area with factories and businesses, according to a Cincinnati Enquirer article. More affluent residents moved to the suburbs. Fast forward to the present. The most recent exhibit, “A Day in the Life…. As the Betts Family Lived in the Mid-19 th Century,” ran from January 16, 2016 to May 14, 2016. 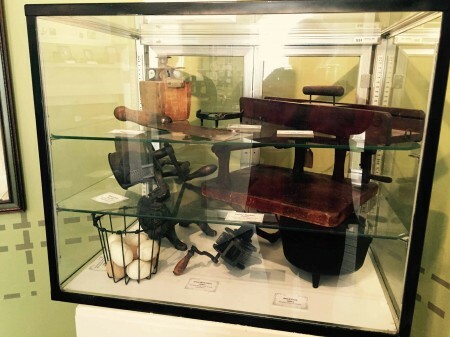 Carrie Van der Zee, president, National Society of The Colonial Dames of America in the State of Ohio, said the public received the exhibit well, particularly since it demonstrated unusual tools, such as a crimping machine and a sausage casing instrument. Items for the exhibit were culled from the current collection. William Betts’ granddaughter Adeline and her husband Charles T. McCrea took over the house in 1863 and began a major renovation in 1864. This exhibit focused on how Adeline lived in the 1880’s. The permanent exhibit is “History at Home: The Story of the Betts Family, the West End, and Cincinnati.” It includes cooking in the past, a display of old utensils, lighting and heating, gardening, cleaning and the family tree. In 2015, William Betts House offered Bricks, Barrel Vaults & Beer: The Architectural Legacy of Cincinnati Breweries. Brewery architecture, including the impact of technology on the function and construction of breweries and the role of the buildings in the city were highlighted. Breweries were housed in a wide variety of structures, such as brew houses, bottling plants, malt houses, stables, saloons and residences. Tunnels cut into the hillsides connected the breweries. Bond at the Betts serves youth; this free summer enrichment program draws from local Cincinnati recreation centers, Boys’ and Girls’ Clubs, YMCA youth programs, as well as others, introducing youth to building and construction trades. This is the twentieth year for this program for kids ages 6 – 12. Other features of William Betts House are traveling exhibits available to other museums, libraries, community centers and cultural centers. These include Bricks; The Big Shake: How the 1811 – 1812 New Madrid Earthquakes Rocked the Ohio River Valley and From Tenements to Townhouses: Multi-Family Housing in Cincinnati. 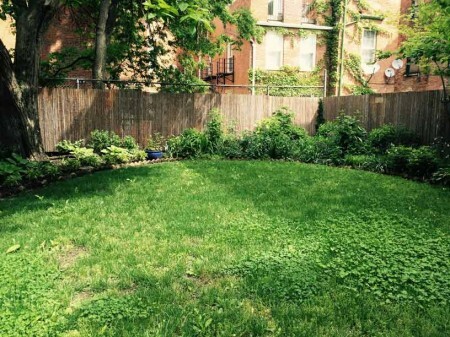 A private green space surrounded by trees and flowers is in the backyard. Walking tours at $10.00 are available once a month April through October. Between 1,500 to 2,000 guests take advantage of the house and grounds every year. Born in New Jersey, William Betts and his family travelled down the Ohio by flatboat in 1800. He went into the brick making business and acquired the West End parcel of 111 acres from Joel Williams, a local tavern keeper. He began constructing a house finished in time for the birth of his ninth son. William died in 1814 leaving his wife Phebe to raise the children and manage the factory. Four generations of Betts’ descendants lived in the brick house. Over two dozen children were raised there. The Betts family expanded the original two-story structure to include additional rooms, doubling its size. In 1812-1813, New Madrid earthquakes shook the area, damaging an early kitchen addition. As the Betts’ family continued to grow, its members settled in the area. By 1839, the area was incorporated into the City of Cincinnati. The neighborhood, however, declined by the 1870s. The construction of Ezzard Charles Drive, originally Lincoln Park Drive, to Union Terminal and I-75 cut off the neighborhood from the rest of the city. In 1968, only 1,200 residents remained. Ownership changed hands several times until descendant Martha Tuttle collaborated with several groups, including The National Society of The Colonial Dames of America in the State of Ohio, to restore the house which had fallen into demise. Tuttle bought the house in 1988. It has been open to the public since 1996 and is also headquarters of the Society. Many dames have served on the board or volunteer in the house or garden, according to Colonial Dames President Van der Zee. The Ohio Historical Society awarded Betts House with a historic marker in 2004. Van der Zee enjoys her role as president in a term running from 2016 to 2018 and championing William Betts House along with several dames and six to eight volunteers. 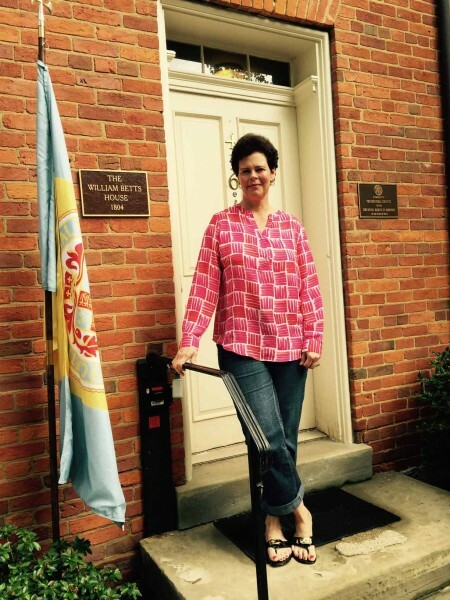 She said, “It’s a great organization – empowering women who run budgets, submit grants. 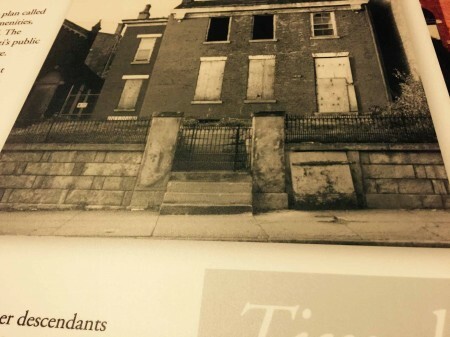 It is important to preserve historical properties.” The house operates as a 501©3 nonprofit with a tight budget. Van der Zee’s goal is to break even every year. “We preserve historical buildings for the future,” said Van der Zee. Competition for funds is one of her biggest challenges. She is looking for new resources, new grants and opportunities. Hours of operation are Tuesday – Thursday from 11:00 a.m. to 2:00 p.m. The second and fourth Saturdays are 12:30 p.m. and 5:00 p.m. Because of the age of the house, it is not handicapped accessible. Cost of admission is $5 per person. Town Center Garage on Central Parkway behind Music Hall provides convenient parking. For more information, see www.thebettshouse.org 416 Clark Street, Cincinnati, OH 45203 info@thebettshouse.org (513) 651-0734.